What happens to the money I spend at The Ferdinand Heimatfest? The Ferdinand Heimatfest is registered as a 501(c)(3). 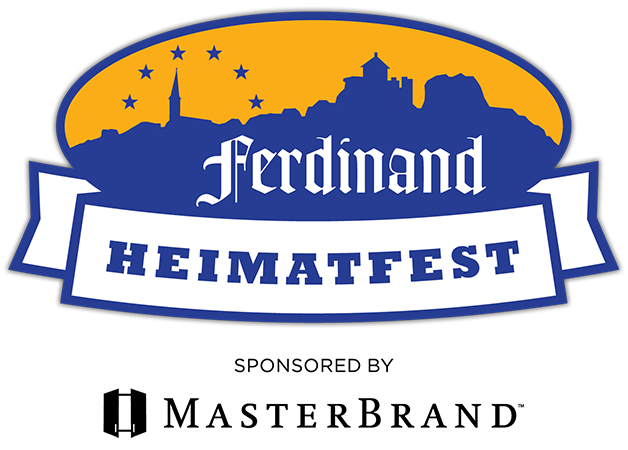 The bulk of the money raised during Heimatfest Weekend is donated to the Ferdinand Community Endowment. Additionally we always make a donation the Dubois County Community Foundation’s General Fund for their board to administer effectively for the betterment of all of Dubois County. Our Mission is: Enable Ferdinand to Prosper by Helping Dubois County Grow. Ferdinand cannot go it alone, we need our neighbors to thrive as well. We also make various donations to local community betterment projects and local not-for-profits that assist with set-up, operations, and tear down of the Heimatfest. There are two hotels in Ferdinand and many additional hotels only 15 minutes away in Jasper or Dale. Follow this link for a listing of available hotels and bed and breakfasts on Visit Dubois County’s website. I am visiting for a few days, what else can I do while in the area? We are glad you asked. There is much to do for all ages here in in Dubois County. Check out the options here! Enter the park from 20th street. There is a large grass area and an entrance too it from 20th Street which borders the 18th Street Park’s North side. Park at the Tri-County YMCA or Ferdinand Branch Library. Both parking lots can be accessed by turning East on 16th Street from Main Street. Both Parking lots border 18th Street Park’s West side. Forest Park Jr./Sr. High School Parking lot. This is accessed by turning East onto 15th Street. This parking lot borders 18th Street Park’s South side. There are paved walking paths that take your directly to the heart of the fest no matter where you park. Most years The Ferdinand Community Center would provide parking (also on 18th Street). However due to a scheduling conflict there will be a wedding reception this year and we ask you to avoid parking in their lot. We will be back to normal in 2020. Is a button required for the beer garden this year? Buttons are no longer required or sold, entry to the beer garden is free. Will you be accepting credit cards at the fest? Yes, we will be accepting credit cards via a mobile paypal swipe. How can I ensure I have great experience? Firstly, please drink responsibly. Beyond that, sign up for some events, dress appropriately for the weather, and buy a koozie from the NASCAR Club to keep your drink cold. If you want to make new friends (we encourage you to meet your neighbors) buy a stranger a beer! There is no faster way to start a conversation and earn someone’s trust. Is Haubstadt, IN really the Busch Light Capital of the World? Nope, they just claim the title. Our committee believes we just might drink more Busch Light up in our neck of the woods.